How safe is Harlow as a place to do business? It depends on whom you ask, as while the overall crime rate in the region continues to fall, annual crime stats paint a less than ideal picture. Once again, antisocial behaviour topped the table as the most common crime in Harlow between June 2016 and June 2017. However, records also indicate a strong prevalence of shoplifting, criminal damage, arson, burglary and general theft. 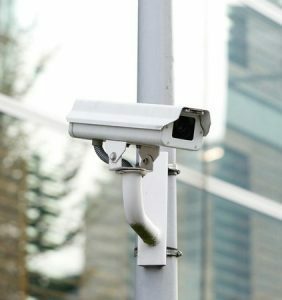 How Can Harlow CCTV Installation Protect Your Business? We’re proud to offer commercial CCTV installations for Harlow that can make all the difference to a wider business security strategy. Harlow has an average crime rate of around 84 crimes per 1,000 people annually, which is no better or worse than regional averages. Nevertheless, it’s a figure that underlines the importance of protecting your business as effectively as possible. Security cameras serve as a strong deterrent, reducing the likelihood of your business being targeted in the first place. CCTV has been proven to drastically reduce the appeal of business and commercial premises to criminals, time and time again. Should your business be targeted at any time, commercial CCTV systems can help with identification and prosecution. From finding those responsible for ensuring charges are brought against them, our commercial CCTV installations for Harlow can make all the difference. Witness identification can also be useful in the event of any criminal act or attack. By identifying those who may have seen the incident take place, pinpointing those responsible becomes significantly easier. It’s also worth considering how Business security cameras for Harlow contribute to a safer, more reassuring environment in general. Both for members of the workforce and visitors alike, the presence of CCTV coverage is a good indicator of a professional organisation with the strongest regard for what really matters. If you’d like to bring your business an extra layer of security that’s guaranteed to make a difference, 1st Choice Security Systems can help. We specialise in tailored commercial CCTV installations for Harlow, designed to meet the exact needs of your business and your budget. Make your business a less appealing prospect for criminals and enjoy the peace of mind that comes with knowing you’re protected at the highest level. Harlow might be a safe place to live and work in general, but this doesn’t mean it couldn’t always be made that little bit safer. Work with a local security company for the total package of quality, value for money and unbeatable customer service! 1st Choice Security Systems knows the region and the security business inside out, enabling us to devise the custom solution your business needs. Call us on 0800 118 2414 or email info@1stchoicesecuritysystems.co.uk. We have installed CCTV systems in Chelmsford, Braintree, Harlow, Epping & more! If you are interested in learning more about a CCTV Installation for Essex, contact us today on 0800 118 2414 for an obligation free quote!